Live Life to the Fullest Every Day! WELCOME TO STARTING HERE, STARTING NOW! Do You Think All Guns Should Be Banned? It is the belief of many people around the world that guns have no place in modern society. Here is a quote from Elizabeth Warren that puts gun violence in perspective. Let us know what you think. As co-founder and editorial director of PASSPORT, one of the world's preeminent travel magazine, Robert Adams is an enthusiastic proponent of writing and photography that highlights the best our world has to offer, while at the same time shedding light on what needs to be done to protect our planet and ensure human rights for everyone. Robert began his career as a photographer and writer in New York City covering politics, the arts and, of course, travel. 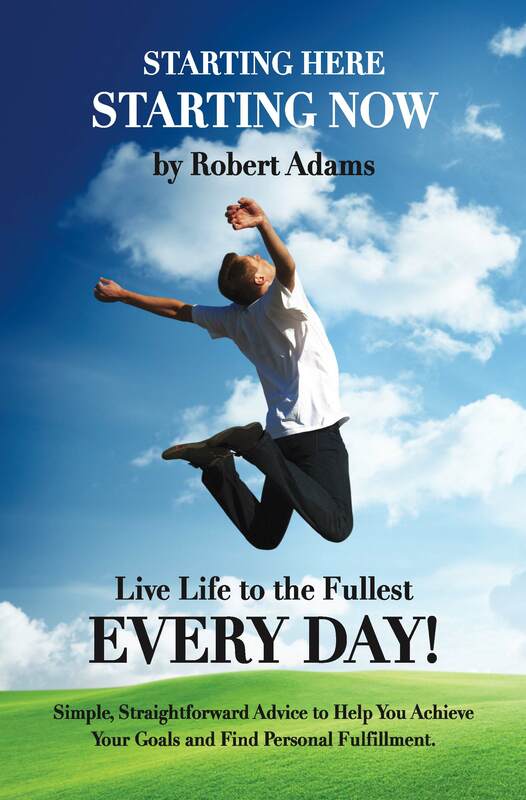 Starting Here, Starting Now, is the first book in a series that Robert is writing about how to achieve your goals and find personal fulfillment. According to the author, "Life is filled with abundance, joy, and love, but many of us are too busy to appreciate the opportunities we have. In this book I offer, simple, straightforward advice to help everyone live life to the fullest every day!"